As I look out at the mini snow blizzard outside, this is the moment I would normally crack and go in search of comfort food. One of my go to treats was always toast, slices of thick cut, seeded brown bread, smothered in delicious butter… mmmm dreamy. However, the Keto lifestyle unfortunately doesn’t allow for that… instead I shall be having my usual bacon and scrambled eggs! Mini Me is totally different, she isn’t the greatest fan of butter and favours spreading either jam or chocolate spread over her toast. When the opportunity arose to try Duerr’s Marmalade, it was the perfect opportunity to let Mini Me try something we normally wouldn’t, especially as we are total creatures of habit. The greatest thing about the Duerr’s Marmalade range, besides the actual marmalade, are the jars. The are super heavy duty and perfect for re-using around the house. Whether to fill again with food or to use for keeping the mounds of dreaded loom bands tidy, we will certainly find a use for them! I quite like the idea of reusing them for funky desserts – the jars make for such a fantastic centrepiece around a dinner table and I do like it when food is served in unique ways. How would you reuse the Duerr’s jars? I was shocked by the selection available in the range, how can there seriously be that many varieties of marmalade? There really is something for every taste and I have my eye on the Sunny Lemon Smooth Citrus Conserve, I am a huge fan of anything lemon related! There are so many other ways to utilise marmalade, alongside slathering it over hot toast and Mini Me and I found that making Marmalade Cookies was the best way to get started! Following the Duerr’s Marmalade biscuit recipe, we made the cookies with the Fine Cut Sunny Seville Orange Marmalade, which smelled amazing as soon as you opened the jar. The recipe was super easy to follow (fortunately we had most of the ingredients) and the biscuits turned out perfectly… Mini Me has been enjoyed them ever since! The next time we make them, I will definitely swap for the Lemon Conserve and allow myself a little treat, I believe that is the chef’s privilege! Check out the full range of Duerr’s inspiring recipes – I need to source the Duerr’s Peanut Butter as I have my eye on the Satay Chicken recipe, with a few tweaks I can certainly make that Keto friendly! 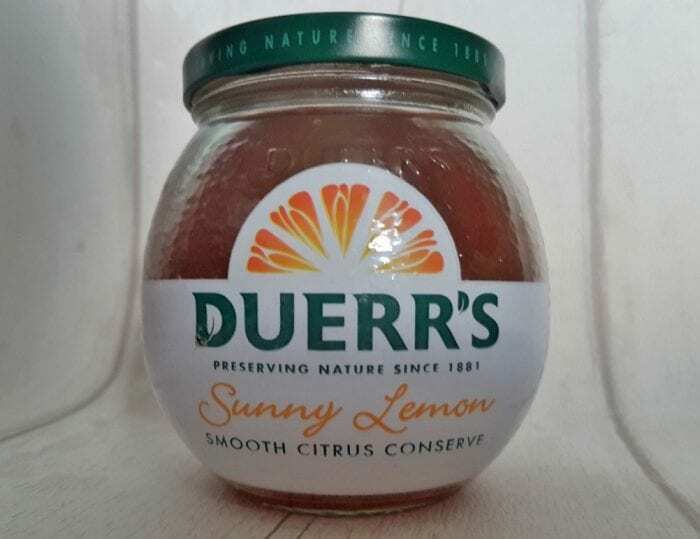 You can find the full range of Duerr’s products in most food stores, such as Sainsburys and Tesco. I would never have thought to make marmalade cookies. These look amazing. I’m not a HUGE marmalade fan but I’d happily devour those biscuits! And I know the kids would too! I read this as I LOVE marmalade, I didn’t know there was a lemon spread in their range, I will definitely look for that. Your cookies look lovely I would never of though of adding marmalade. This jars are amazing. I had never thought about making marmalade cookies, but they look amazing! I love marmalade but I’ve never made cookies with it before. Must give that a try! It’s not my go to put it all looks and smells divine – will definitely be using it more in cooking!